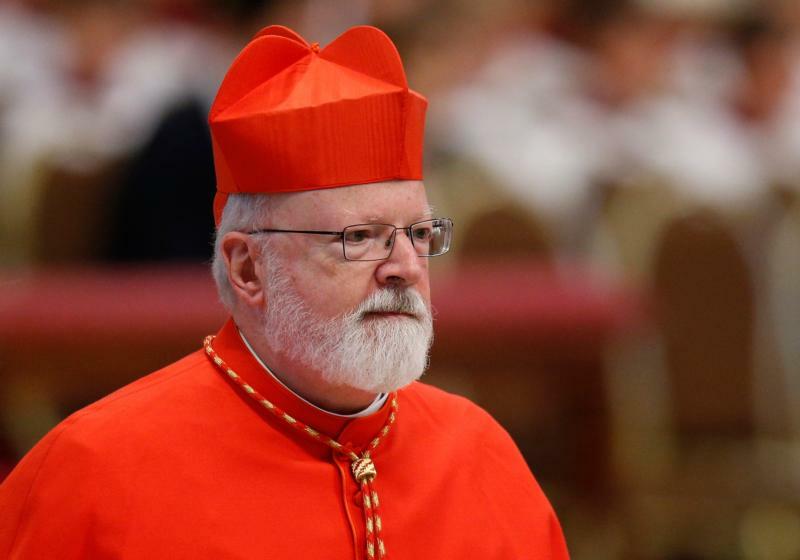 VATICAN CITY (CNS) — Responding quickly and appropriately to the problem of abuse must be a priority for the Catholic Church, said Cardinal Sean P. O’Malley, president of the Vatican’s Pontifical Commission for the Protection of Minors. “Recent events in the church have us all focused on the urgent need for a clear response on the part of the church for the sexual abuse of minors” and vulnerable adults, he told Vatican News Sept. 9. “Bringing the voice of survivors to leadership of the church is crucial if people are going to have an understanding of how important it is for the church to respond quickly and correctly anytime a situation of abuse may arise,” he said. The cardinal, who is the archbishop of Boston, spoke at the end of the papal commission’s plenary assembly in Rome Sept. 7-9. Afterward, Cardinal O’Malley remained in Rome for the meeting Sept. 10-12 of Pope Francis’ international Council of Cardinals. The pontifical commission, he explained, is an advisory body set up to make recommendations to the pope and to develop and offer guidelines, best practices and formation to church leaders throughout the world, including bishops’ conferences, religious orders and offices in the Roman Curia. The commission is not an investigative body and does not deal with past abuses or current allegations, but its expert-members try, through education, leadership training and advocacy, to “change the future so that it will not be a repeat of the sad history” the church has experienced, he said. “There are other dicasteries of the Holy See that have the responsibility for dealing with the cases and dealing with individual circumstances of abuse or negligence on the part of authority, and our commission cannot be held accountable for their activities,” he said. Most allegations of clerical sexual abuse are handled through the Congregation for the Doctrine of the Faith. Safeguarding training for bishops, priests and religious around the world is meant to help them become “aware of the seriousness” of abuse and negligence, “to be equipped to be able to respond” and to be able “to put the safeguarding of children and the pastoral care of victims as their priority,” said the cardinal. A critical part of building awareness, he said, has been making the voice of survivors be heard directly by leadership. Every year when new bishops attend a course in Rome, the commission also addresses the group. Even though Collins was unable to attend this year, she made “a wonderful video” that the cardinal shared with the approximately 200 bishops appointed in the past year, he said. Year after year, the cardinal said, “so many bishops have come up to me and told me that Marie Collins’ testimony was the most important conference that they had heard during their entire week of conferences for the new bishops.” That is why, he said, it is so crucial for the voices of survivors to be heard by leaders if they are ever to understand the importance of responding quickly and appropriately. The cardinal also mentioned a number of new initiatives and resources the commission has been working on, such as special auditing instruments for bishops’ conferences to measure the implementation and compliance of safeguarding policies as well as the idea of setting up “survivor advisory panels” in different countries to advise local bishops and the papal commission.